Disclaimer: This project is made by fans of the video game PlayerUnknown's Battlegrounds and is not for profit. No Copyright Infringement Intended. This is a work of fiction. Names, characters, businesses, places, events, locales, and incidents are either the products of the author’s imagination or used in a fictitious manner. Any resemblance to actual persons, living or dead, or actual events is purely coincidental. Nördheim's snow-covered landscape consists of a contrast between lower elevation areas such as islands, farmland, and woodlands, and higher elevation areas such as mountain slopes, alpine peaks, and steep cliffs. Together these areas create an epic battleground that will put players skill, ingenuity, and decision-making to the test in order to make it out on top in this wintery warzone. Nördheim takes players to a land where ancient mythology and tradition stand side-by-side with modern culture, technology, and architecture. Atop a mountain peak, a small airport overlooks the fjords below. Landing here might be dangerous. But looting here could be lethal. On the outer rim of the archipelago, you'll find a small, rocky island that hosts an old fishing village. Beware — or you might find yourself sleeping with the fishes. This luxury hotel is made almost entirely of ice. It rests on a scenic ridge with views of the ski slopes across the valley. This underground facility is secretly carved into the earth — a mountain that packs a real punch. This frozen shipyard holds massive, stacked cargo ships filled with loot. This ski resort sits in the heart of the Nördheim valley, and the ski slopes above are filled with trails and ski parks. This cozy town sits on Nördheim's largest island. Narrow streets lined with colorful wooden houses bring warmth to the cold backdrop. This train station sits in the lowlands, just below the steep incline of the peaks above. Regular hockey games at this indoor arena have paved the way for the popular e-sports (ready) game, ParticipantsUnidentified's Fight Lands. This wooden church holds 800 years worth of prayers. Some never change — like the plea for triumph in combat. This WWII bomb shelter has been converted into a modern data center that houses servers for Nördheim's connected population. While it's now primarily used to connect to the outside world, its capacity as a hideout remains unrivaled. This fortress has seen countless battles over the years. But it still has many more epic fights to witness before it comes crumbling down. This giant chunk of ice sits wedged between two mountains on the north east part of the map. Labeled Eden 2.0, this underground facility is the home to a seed for every plant in existence, just in case an apocalyptic event requires us to regrow all the flora on Earth from scratch. A frozen shelter hidden inside a glacier. Its depths are unknown, but many explorers have perished in pursuit of treasure. Will you be next? This world-famous outlet where you have to re-build what you shoot to pieces turns into a battlefield where it's easy to get lost. And the meatballs, as always, are worth killing for. These luxury villas sit high on the mountainside, overlooking the ski resort below. But beware the temptation of a cozy fireplace — you may come across a firefight instead. Resting at the mountain's summit, this observatory has an amazing view of Nördheim, from its mountain ranges to the killing fields below. A plane that missed the mark at the nearby airport carved out its own snowy runway — into the side of a mountain. Ett skepp kommer lastat! This ship lost its course, its crew, and its cargo when it ran bow-first into a set of small isles. Praise Odin! This recently-opened museum celebrates the glorious meeting of tradition and modernism. Explore the various viking relics on display, including a viking longship. This hyper-modern concert hall sits right on the water. Its architecture is meant to encourage exploration, so go ahead — walk all over it. Deep within the mountain, this train station has been constructed to nest inside a natural cave formation. Its painted ceiling could rival that of the Sistine Chapel. The arctic sea can easily turn into a watery grave. The freezing temperatures limit the time players can remain submerged to half of what's normal on Erangel and Miramar. Most of the ice near shores is thick enough to drive on. But farther out, the ice is thinner. Players and lighter vehicles can traverse can the thin ice, but heavier vehicles will break through and sink. 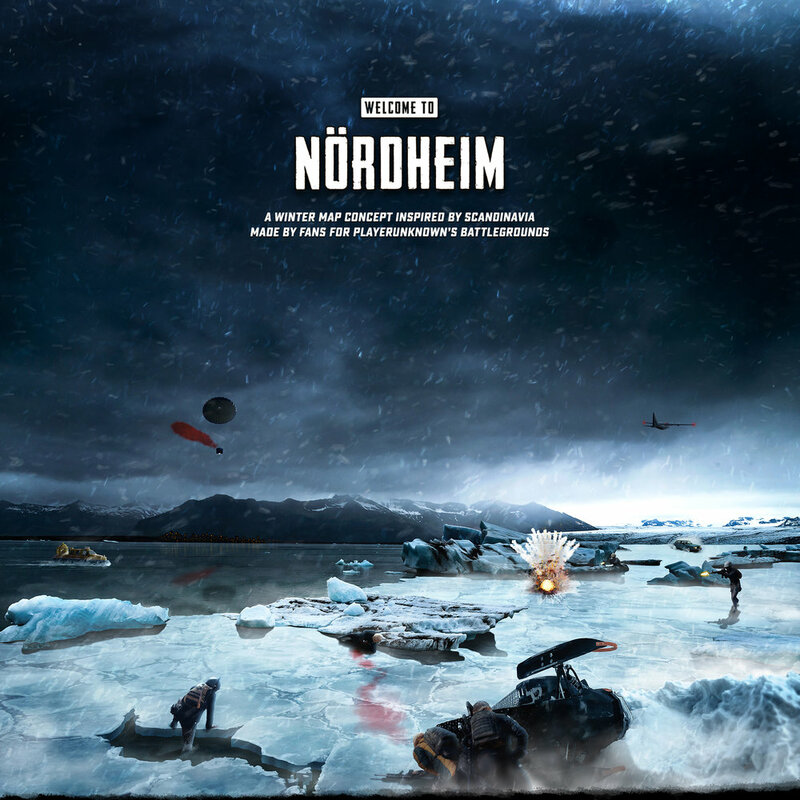 Use grenades, bullets, or even vehicles to break thin ice around Nördheim to create escape routes or cause problems for enemies. Track down wounded enemies by following their blood trails. Blood trails last 1 minute before being covered by snow and disappearing. In Nördheim, the red zone is the white zone. Instead of bombs raining down the battlefield, an intense blizzard envelops the area and heavily limits visibility. Gusting winds make it difficult to hear beyond your immediate surroundings. This blizzard cannot kill players, but does serve as an additional challenge. land, water, mud, or ice are no match to this vehicle.  Its ability to travel across any surface is balanced by poorer handling than a regular car. Will not break thin ice. This all-terrain truck has very high ground clearance. Its narrow body allows it to navigate both through rough terrain and narrow passages. A tough but classic luxury car that's low to the ground and high in speed thanks to a turbo-charged engine. This four wheeler comes equipped with snow tracks that let it travel across the slick landscape with ease and speed. Will not break thin ice. Silently glide down the slopes, or across snowy landscapes while still being able to hip-fire. The skis are a stealthy option that come at the cost of reduced speed, and a three-second channeling time to equip or detatch. Will not break thin ice. A small wooden church is preparing for a local band's amateur concert. Posters and stage decor allude to the band's musical style. A stone with a peculiar message carved into it, written in viking runes. The deciphered message reads "Regionlock Scandinavia!" Archeologists are baffled and confused. A statue of a grumpy troll sits underneath a small stone bridge. To pass the bridge you might have to pay the troll toll – in blood. Deep inside a pine forest, there's the remnants of a rave party. The trees are lit up with trippy colors and a low trance beat continues to play. Venture through Nördheim looking like a total badass – viking style! Pelts, capes, tunics, and ofcourse helmets are inside this viking-themed crate.